There is too much fear and derision from the old guard of cybersecurity. Big breaches are used as justification for sales pitches and pedestals to mock the victims. 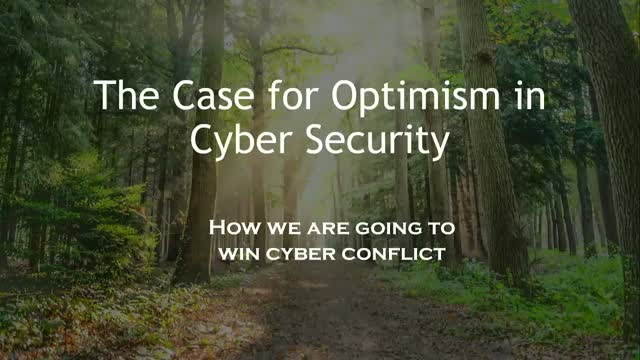 While it is undeniable that cybercrime continues to grow, and future of cyber conflict is contested, there is good cause to think we are doing better than we imagine. And that we can win in the future. No competitive team enters a contest with a ‘let’s catch up’ mentality. Leaders inspire us to victory. CISO’s need to fill to role of champion and present a positive message – ‘we can win’. Join this talk with industry thought leaders as we discuss the state of the conflict and emergent tactics from AI to insurance that promise to re-define cyber defence.